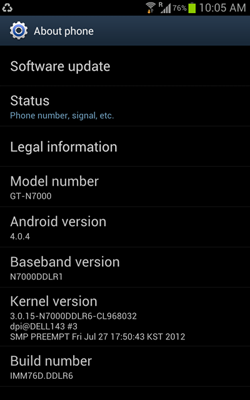 Samsung Galaxy Note users can update their handsets to Android 4.0.4 as Samsung has started rolling out Android 4.0.4 ICS firmware for its Galaxy Note users in India. Earlier back in May Android 4.0.3 was released for Galaxy Note users but that release resulted in some performance issues. This Android 4.0.4 version improves performance issues like force close that were found in Android 4.0.3 version. This update also added two new features signature unlock using S-Pen and Pop up Play which were found in Samsung Galaxy S3. Pop up Play is an interesting feature using which you can play videos anywhere on the screen while using other applications like Messaging or Gmail. 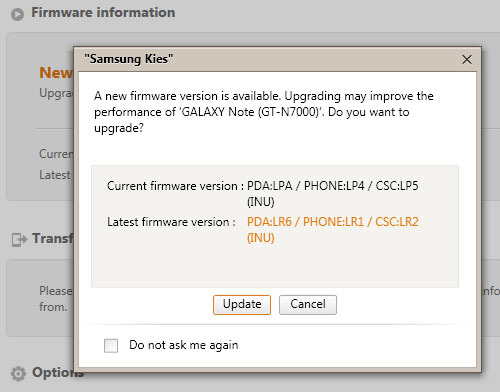 The size of Android 4.0.4 update is about 111 MB and it is available OTA (over-the-air) and via Samsung Kies app. To update your device OTA, go to Settings -> About -> Software Update and you need Wi-Fi or 3G connection to update your device. 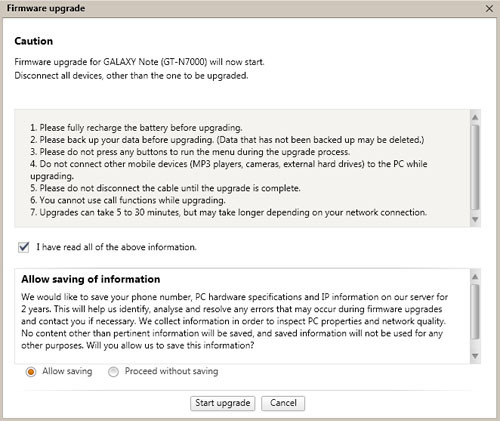 If the OTA update is not available for you, you can update it using Kies application. Following are the steps that you can follow to update your device to latest version of Android. Note: This is the guide for official update and it may not cause any damage to your device’s functionality if the steps are followed carefully. However if your device stops functioning properly, I should not be held responsible. This update will not delete any data on your device but still it is recommended to backup your device’s data before applying the update. You can use Kies to backup your data. 1. First connect your device via USB and start Kies on your computer. 2. Immediately after connecting the device, Kies will show you a pop up to update your device to latest firmware. If it don’t show you a popup, you can manually check for firmware update from Tools menu. 3. Click on update button and then on next window check on I have read all the above information and click on Start upgrade button. 4. When you click on Start Upgrade button, firmware upgrade will start immediately. 5. 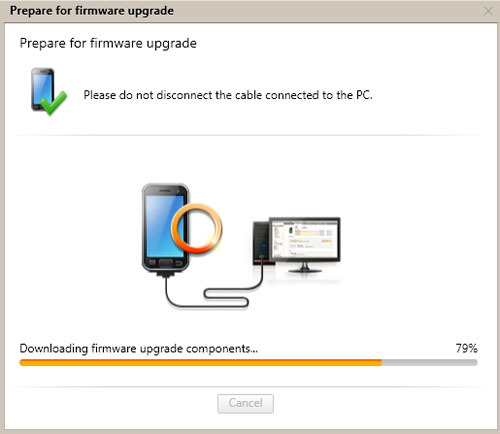 Now you will see a Window showing Firmware upgrade progress. Wait for some time and your device will be upgraded with the latest firmware that is Android 4.0.4.
whenever i try to update, an error pops up- an underlying connection was closed: a connection that was expected to be kept alive was closed by the server. please help! Are you using an updated version of the Kies ? Yes. It’s the latest version, even tried re-installing it. Yes. My kies version is up to date. I even tried reinstalling it. yes. the kies version is updated and i even tried re-installing it many times. Still the same error pops up.